Fly In - Sail Out! The best of both worlds for the adventure enthusiast! 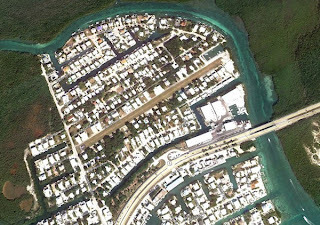 Tavernaero is a quite subdivision in the Florida Keys that has one unique feature other subdivisions don't - a private, gated airstrip. It is the only private airstrip between Homestead and Summerland Key. The grass runway is open from sunrise to sunset. It is 2075 feet long and 80 feet wide. Many of the homes here even have enclosed the downstairs area of the home to provide hangar space for private planes. While most homeowners in the neighborhood are pilots or enjoy flying, it is not a requirement to own property or live in the community. Additionally, there is a private marina with boat ramp, providing immediate access to both the Atlantic Ocean and Florida Bay via Tavernier Creek. So, bring your boat and bring your plane! Click the link below to see all properties currently for sale in the community.